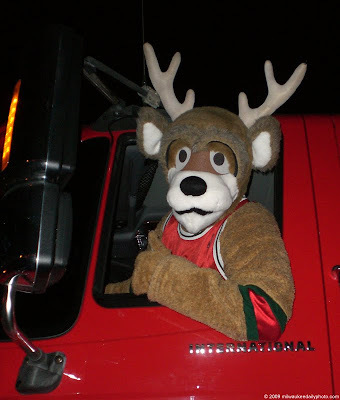 Tonight, we had the chance to participate in the first Christmas Parade of the season in neighboring West Allis. 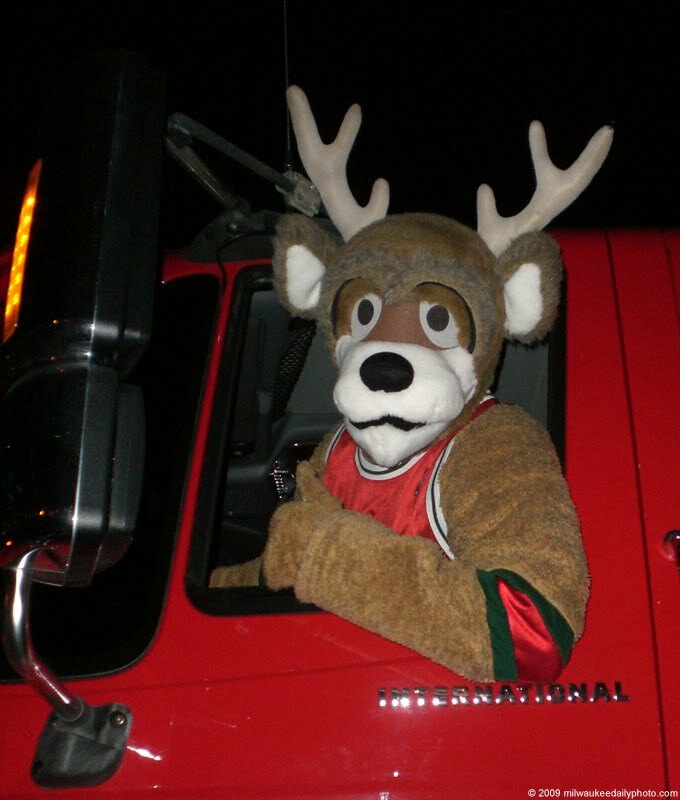 In addition to the floats, bands, and local media celebrities, the parade included Bango, the mascot for the Milwaukee Bucks. In today's photo, he's sitting behind the wheel of the extra-large pickup truck he rode in, posing for the camera.